Ring The Bell Campaign; 13 March 2019- It is a programme enlisting the support and participation of schools and children to use whatever instrument is within their reach (bells, gong, pots and pans) to make some minutes noise to draw attention to the right to education of children with disability. 12th Annual Inter-House Sports; Thursday, 14 March, 2019 – Showcasing the students’ ability in sporting activities. Down Syndrome Foundation Art Exhibition with Patty Chidiac; Saturday 16 March 2019 – Open House event showcasing the students’ arts and auctioning to raise funds for the students. 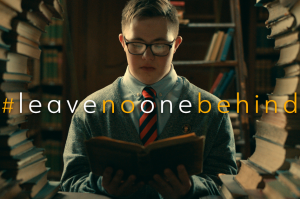 (4) World Down Syndrome Day 2019 Celebration.